Virginia Right! 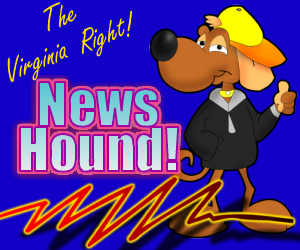 News Hound for 12/14/2010 | Virginia Right! Guess Who Got Eric Holder’s Briefs in a Bundle? Judge to Obamacare architects: Ahem. Meet the Constitution, power-grabbers. Talking Ants-on-Crucifix Art, NYT’s Frank Rich Grieves ‘Homophobia Is at Most a Misdemeanor’ in D.C.
Tech at Night: You were expecting something other than Net Neutrality? Would Your Government Do These Things? Was an Innocent Man knowingly sentenced to 18 years in Tennessee State Prison by Judge Carroll Ross?